I'm especially enamored with Campbell's idea of making more Evil Dead movies featuring Jane Levy as Mia, the star of 2013's reboot, directed by the incomparable Fede Alvarez-and I'm not the only one. 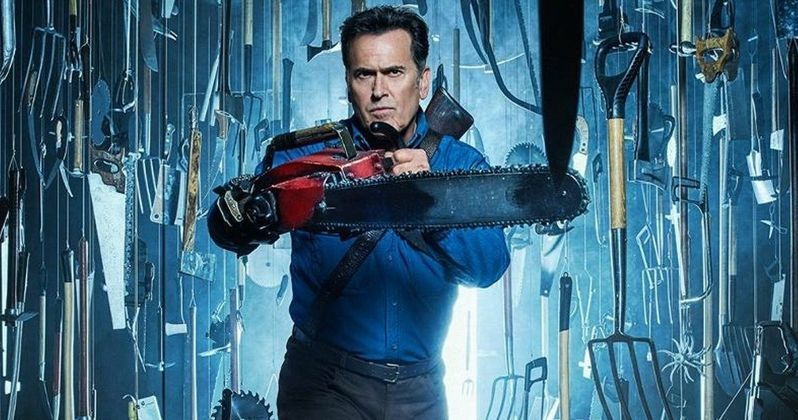 Alvarez floated the idea by his fans when, in the aftermath of Ash vs Evil Dead's cancellation, he asked his Twitter followers which they'd rather see: Evil Dead Part 2 or Don't Breathe Part 2? Evil Dead won the survey by a hefty margin. While it was all hypothetical and, to our knowledge, no plans have been set into motion for another Alvarez/Levy reunion, it shows the director's willingness to revisit the property.